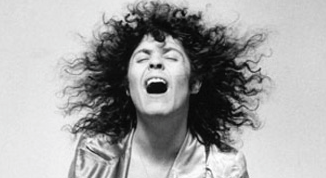 Marc Bolan: The 40th Anniversary Celebration concert will be once in a lifetime event celebrating the life and work of the phenomenal Marc Bolan and T.Rex 40 years after his tragic early death. Marc Almond and T.Rextasy headline the event with superstar T.Rex producer Tony Visconti conducting the Dirty Pretty Strings. Special guests include Marc Bolan’s fellow band member from John’s Children: Andy Ellison, original T. Rex Saxophonist Howie Casey and many others to be announced.